Steven Butala: Steven, Jill, here! 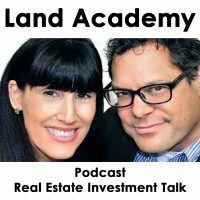 Steven Butala: Welcome to the Land Academy Show, entertaining land investment talk, I am Steven Jack Butala. Jill DeWit: And, I’m Jill DeWit, broadcasting from sunny southern California. Jill DeWit: Like who am I? What group am I in? Jill DeWit: Call myself intermediate. Steven Butala: … graduate to middle school, that kind of stuff. Jill DeWit: … nice swag by the way, where did you get that? Jill DeWit: It’s pretty cool. Steven Butala: It’s part of the Land Academy membership that I’m involved in. Before we get into it, let’s take a question posted by one of the members on the LandInvestors.com, online community, it’s free. Jill DeWit: Michael asked what are one or two of the things I can do to insure my success month over month? I know it’s gonna be hard to quantify, but I thought I would throw it out there. Steven Butala: … honestly, it’s not hard to quantify at all. You have way more control over your career and your success than you think just by doing these one or two very very simple things. Number one, send more mail out, and number two spend a little bit more time concentrating on the quality of the pricing and the data scrub. Steven Butala: So, this is actually perfect for this topic today, because a beginner might send just a ton of mail out and kinda see what comes back and then practice with it, buy a few properties, resell them, just get all the mechanics out of their system. Intermediate might hone in on trying to figure out … But you know what? I’ll save it for the show. Jill DeWit: Save it for the show, okay, thank you. I was gonna say a beginner too might not even do that, they might not send enough mail out, ’cause they’re still figuring it all out. Steven Butala: I mean Jill and I have been doing this for enough years now, where I’ve got personal examples of people reporting back to us who have jumped from beginner to intermediate to advanced pretty quickly, with crazy personal stories. And it made sense with them. Steven Butala: The biggest thing you can do to move forward through these stages is send more mail out. If you send a a lot of mail out and you do it right, it forces you, you have no choice but to answer the phone, do some real estate deals and make some money. Steven Butala: That’s right Jill. Jill DeWit: If you wanna get ahead, you are … As you’re going through these beginner steps … I know Michael, he’s not. But you’re start to plan for your exit, and you’re replacing it because you should be doing bigger and better things, better deals, more important tasks, you’re planning for that. That’s how you go month over month. You don’t just figure it out … Here’s what you don’t do month over month, you don’t just figure it out and then do status quo, and like, “Hey, I figured out how to do this in four hours whereas it used to take me eight.” And then you just do nothing. And now you’re doing it in three hours, in two hours, you’re still staying where you wanna be, you are pushing yourself to move ahead and do more transaction-wise, deal-wise, whatever it is. Steven Butala: I mean here’s the key, it’s a totally predictable that the consequence of sending x amount of mail out, and then sending out why more is totally predicable. You have complete control over it. So if you wanna buy a house and you send out 3000 emails, let’s say, you’re gonna buy a house. If you send out the mail correctly, if you send out 6000, you’re gonna buy two. Steven Butala: Jill and I just experienced this, we just tested, I just look back on it. We’re at the change of a month here, so I look back at a mail campaign that I sent to [inaudible 00:04:04], it was 10,000 mailers, like 10,100 mailers, and we purchased four houses with the potential of buying two more that we’re on the fence about, but four lipstick cleanup slam dunk properties. So for every 2,500 mailers that we sent out, we bought a house and made between $25,000 and $75,000. Jill DeWit: Well, that’s the fast, who knows what’s still coming? Steven Butala: Right, but let’s just for simplification reasons, right? For years, we will be getting contacted by those mailers. That goes without saying. Steven Butala: If I sent out 20,000, I would’ve bought eight. So, Michael, to answer your question, what do you do to get to the next level? Run an analysis like that, if you bought eight properties last months, eight pieces of land, and you sent out x letters, double it. It works every time, if you don’t dramatically change how you’re scrubbing data or pricing. Steven Butala: If you wanna increase your yield, that’s where you try to try some new stuff about scrubbing data, maybe you send out industrial property or commercial property not just residential, and scrub it a little differently, and who knows? Steven Butala: Today’s topic, beginner, intermediate, and advanced members, and some of the differences there. This is the meat of the show. Steven Butala: Let’s like start with some real simple definitions. Steven Butala: [crosstalk 00:05:54] A lot of people do that to me too. Jill DeWit: It was great. Steven Butala: They say stuff that we say on air that I just forget about all the time. Jill DeWit: … wait a minute. Steven Butala: … [inaudible 00:06:02] show, what else? Steven Butala: Welcome to Land Academy. Somebody said that to me a couple times. Jill DeWit: Yeah, that’s my … Welcome to Land Academy. That’s what I’m [inaudible 00:06:12]. Steven Butala: It’s like shorter. Jill DeWit: … than you did three years ago.” No, in a good way like, “Boy, your face is a little thinner.” Yay, I think. Yeah, 20 pounds will do that. So that was really funny. Jill DeWit: Oh, we had a lot of fun. Steven Butala: … it’s just funny to me ’cause we’re just real people, and everybody thinks we’re not for some reason. They think we’re something else. Steven Butala: I swear learned just as much as everybody there. Steven Butala: Do you have notes? Steven Butala: Oh, let’s hear it. Jill DeWit: First … They’re very … Not a lot. Not a lot of notes, but I do have notes. So a beginner member is someone, they understand land, they understand real estate, they understand there’s money to be made here. They’re over those obstacles, but they’re just trying to figure out the hows. Jill DeWit: They think direct mail rocks, ’cause then you don’t have to do any extra work, they love the fact that we can do this remotely. That makes you think of like … It was so cool, Dave and Christi [inaudible 00:07:34] who were with us this weekend, and they … This is their I think their first time really in a big way testing doing their business from the road. So they drove from Missouri out to California, made a whole fun trip out of it to come see us last weekend. We’re glad you did. But I think it’s so cool that they’re like you know, we’re gonna test this remote thing, and hmm, it works. Isn’t it great? Steven Butala: Let’s go back to beginner for a second. Steven Butala: … Yeah, go ahead. Jill DeWit: … beginner. So the beginner people are there, and they just need the steps. They need the steps, A, B, C, D, to get this rolling. That’s really all it is. Steven Butala: Yeah, at the end, at the beginner stage, you probably have 8 to 10 deals done. And who cares but those first 8 to 10 deals, right? They’re deals that convinced you, or your spouse, or anybody who needs convincing, if that’s the situation you’re in. But you can buy a piece of land and sell it for more, usually are double, on a cash basis. I don’t care if it’s 500 to 1,000, or 1,300 to 2, or 3, or $4,000. In most cases, it’s a lot more. So that’s the beginner stage, it’s just the mechanics, it’s the beginning, intermediate, and advanced of everything. You know? Steven Butala: Yeah, none of that. Steven Butala: … it’s gonna answer a lot of questions. Jill DeWit: Yeah, test it, make sure you like it, what if you don’t have the stomach for this? What if you get three hate calls, and you go, “I can’t handle this.” And that’s for … Some people can’t, and that’s okay. That’s where you find us out, and see if this is for you. And then you have to have the stomach to send out the mail and be ready to answer the phone. Some people can’t do that, and that’s okay, then this isn’t for you and something else might be. Steven Butala: This is like my opinion of the people who have been intermediate and beyond, this is kind of their profile. Jill DeWit: Right, I think a lot of the intermediate members too have already had numerous obstacles that they have already overcome. They’ve already gone … They’ve already figured out the payment, they’ve already set up probably the credit card payment system on their website. That was a huge obstacle for some people getting the website, getting on there, talking to all the right people, signing up with a credit card company. I mean there’s a lot of things that you have to do, it’s not just a one-hour project, and they did it. Steven Butala: That’s not part time. Jill DeWit: Right. They’re like all right, I did that one, now I’m ready, now I need to … I’ve got it all ready, now I need some more expensive property on there and a whole lot more of it, and a lot faster, now that’s what I wanna do. Steven Butala: Right. So you’re ready to graduate yourself from beginner to intermediate, maybe these are some ft the types of things that you might do. Steven Butala: There’s guy in our groups, his name’s Matt, this is exactly happening to him right now, and he’s going through all the mental changes. Actually he’s … like part of it’s shocking off for him. For him, he’s just shocked. Steven Butala: And for Jill and I, we see this happen to so may people in our group. So now he’s really mopping up and managing these deals, and maybe turning some deals down that he might not had turned down before, just because they’re too hard to do, and he wants to move on. Jill DeWit: You know what’s cool about this? So that’s … What you talk about is your side of the business, and it’s so interesting. You’re more focused on the deal and the transaction side of the business. Now, I sip in for running the business side. So the other thing that we talked about like with Matt is start putting a system in place for what you like done for your due diligence. Start creating checklists, start creating videos, and start outsourcing all that. Jill DeWit: So as he’s getting better and sending out more mail, his deals are coming back, anyone in this situation should be now start hiring somebody else to go and set up … to input all, he should have a PATLive or some kind of system answering the phone calls. That’s now not a good use of his time, they should be putting into a system somebody else that he’s trained should be putting all the due diligence in there, so at the end of the week, end of the day, however he wants to sit down and review those properties. That’s the best use of his time. Jill DeWit: Now he sits down there and he looks at all those properties, picks the ones that he wants to buy, and then in a perfect world he has someone in place already now to close on those transactions and get them done. 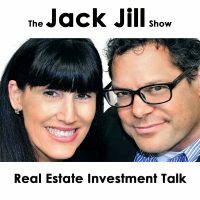 Jill DeWit: [crosstalk 00:13:42] or choosing what to purchase. Steven Butala: And choosing of markets and analyzing. Yeah, absolutely, that’s imperative. Jill DeWit: Picking the transactions and that. Steven Butala: Right. Basically approving of your own acquisition, and choosing the market where the mail goes out, no one can do that except you in my opinion. Jill DeWit: Exactly, that’s perfect. Steven Butala: So then what’s the transition from intermediate to advanced? Let’s say now you’re sitting yourself in the mirror and you’re probably doing at least 10 transactions a month, 10 good ones, 10 transactions where the margin is probably more than $25,000 on each deal. And you’re doing, I don’t know, 8 to 10 of those a month, so you’re making a quarter of a million bucks a month, you’re no longer doing any of the tasks that are involved in a typical deal that you don’t wanna do. Steven Butala: If you don’t like answering the phone or for whatever reason like I don’t, and you don’t feel like it’s sufficient, then you’ve got PATLive doing it. And you just go down the … You don’t wanna actually put the property in the MLS or whatever you [inaudible 00:14:45] type, it’s appropriate to sell it on the Internet, if you got that outsourced to the Philippines. Steven Butala: So now you’re staring at … You know, you’ve got this kinda machine advanced, basically a PhD level, you wanna sit and take that operation and scale it. Steven Butala: So you got a quarter of a million dollar a month operation, it’s going relatively smoothly. You’ve got policies and procedures in place for stuff, when it goes wildly wrong. You’ve got it to that point, and you take that and you slap it down in Tennessee, or you slap it down into Georgia or whatever market that you see as a … and then you duplicate it and scale it. Steven Butala: Those things are two different things; duplication and scaling are very different. But for the purposes of these types of operations, we’re gonna leave it at that. Go ahead. Steven Butala: Or you’re financing other people’s deals. Steven Butala: I’m trying to keep this simple. Jill DeWit: I am keeping it simple, aren’t I? Jill DeWit: But that’s an advanced member, I’m assuming that’s what advanced members are doing. Steven Butala: Advanced members are thinking that way. How can they offshoot and diversify, entirely diversify what … Here’s what advanced members have in common in my opinion; they’re just unhappy about how efficient everything is, and they wake up and say, “You know what? A quarter of a million bucks a month, this is not enough, everybody’s doing what they’re supposed to be doing in general. There’s roadblocks and stuff, none of it really gets to my desk, but there’s roadblocks and they’re dealing with it. How can I just double it? What is it at the top of this thing? What system can I put in place to make half a million bucks a month?” I made 300 last month. Steven Butala: And so they go do that. [inaudible 00:17:04] that means all kinds of different stuff to people. The single easiest thing that comes to my mind is dropping it down into another market, where all systems are all in place anyway, it’s just there is a different two letters at the end of the address, it’s Tennessee instead of Georgia or something. And I’m not picking on those, it might be Wyoming instead of, you know, Minnesota, I don’t know. Steven Butala: But Jill’s right, some of the crazier people, those are whole lending businesses based on that, and they’ll lend other younger members who don’t have any money, lend money. So those are the three basic stage and differences. Steven Butala: Then after that, who knows? After that, I’ll tell you what’s after that for us it’s partnerships where you just basically enable other people who are wherever they are, and give them what they need. And we don’t even hear about it, it’s just comes back in the form of equity. That’s kind of the end. But that’s for a different show. Steven Butala: Well, you’ve done it again, you spent another 18 minutes or so listening to the Land Academy show. Join us next time where we discussed why the truth works. 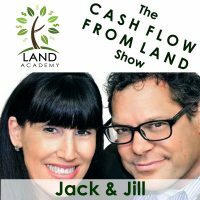 Jill DeWit: And we answer your questions posted on our online community, LandInvestors.com, it’s free. Jill DeWit: You were saying you were gonna … I thought that you were gonna say something about the comments that we heard at the event. Steven Butala: Yeah, I heard a lot of comments. Steven Butala: Take it away Jill. Jill DeWit: … and you’re everything in your ambition. All right, never mind. Share the fun by hitting the subscribe button on YouTube to stay up to date on our podcast. Or, if you are new to our channel, like us and comment on what you would like to see in future shows. Jill DeWit: And if you’re listening on iTunes, please rate us there. We are Steve and Jill.